Wisconsin Facts | Cool Kid Facts . 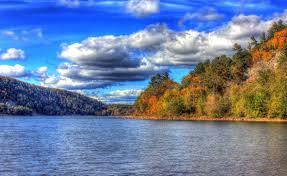 Wisconsin is a midwestern U.S. state that borders two Great Lakes, Lake Michigan and Lake Superior. It’s also a land of forests and farms, and the state is perhaps best known for its dairy farming. The state offers a variety of cultural activities and events, fishing and boating, and some of the best hiking and biking trails in the country. 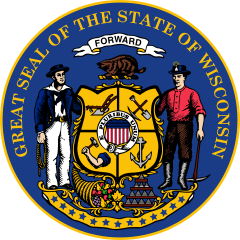 How did Wisconsin get its name: Wisconsin’s name comes from “Meskonsing,” an English spelling of the French version of the Miami Indian name for what is now the Wisconsin River. Lowest point: Lake Michigan at 579 ft. Highest point: Timms Hill at 1,951 ft. The very first ice cream sundae was served in 1881 in Two Rivers, Wisconsin. Yes, it was on a Sunday, and the ice cream only cost five cents! The Wisconsin Dells has the most water parks all in one area in the world. 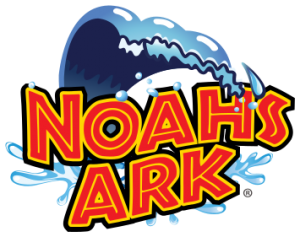 There are eight indoor and three outdoor water parks, with more than 200 water slides and 16 million gallons of water combined. Wisconsin is also known as “America’s Dairyland.” The state is the number one producer of cheese in the United States (and the number two producer of milk). 90 percent of the milk from Wisconsin cows is used to make cheese. The state has more dairy cattle per square mile than any other state. 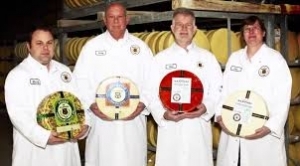 Not surprisingly, Wisconsin is also the only state that offers a Master Cheesemaker program. You must have ten years of cheese-making experience to apply for the program, and it takes three years to complete. Wisconsin is home to 26,767 miles of streams and rivers. That’s enough to circle around the entire globe—and still have some left over! Some of Wisconsin’s most popular attractions are buildings designed by the famous architect Frank Lloyd Wright, a Wisconsin native. The favorite is Taliesin East, a home in Spring Green that stands among 600 acres of beautiful countryside. Wright started on the home in 1911 and it was a work in progress until his death in 1959. Visitors can tour the home, theater, studio, gallery, and school on site.